The Samsung Galaxy S4 line, which Samsung Mobile says sold more than ten million units in its first month, will soon receive the much-anticipated Android 4.4 KitKat update, to its Google Play Edition devices. The HTC One Google Play Edition will also receive the update, while pre-Nexus 5 users are still urging Google to push the update out to more devices. The first Samsung device to receive the update, the Samsung Galaxy S4 Google Play Edition, is unlocked so users can choose their preferred carrier, albeit at a heftier price tag: $649 on the Google Play Store compared to $199.99 for a carrier-locked version. One benefit of the device, though, is the ability purchase a contract-free plan and avoid the subsidized prices carriers charge for devices on their networks. The Play Edition devices automatically receive updates of the latest software, similar to Google’s own Nexus line. Many Play Edition owners also value an Android experience without the inclusion of pre-installed Google and carrier-added applications. However, Play Edition phones are not technically pure Nexus phones—which are designed by Google although they run Nexus Android software. Additionally, Nexus devices are less expensive than the Samsung and HTC Play Edition phones. 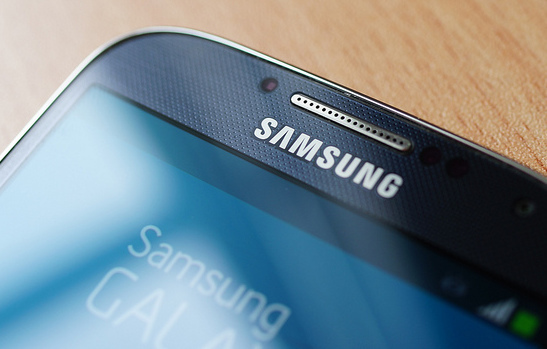 What Does this Mean for Other Samsung Galaxy S4 Users? Google officially announced Android 4.4 KitKat on October 31, saying, “Android 4.4, KitKat, which comes on Nexus 5, will also soon be available on Nexus 4, 7, 10, the Samsung Galaxy S4 and HTC One Google Play edition devices in the coming weeks.” Fortunately for HTC One and Samsung Galaxy S4 Play Edition owners, the update rolled out for both devices simultaneously, according to the official Android Google+ page. Though this is great news for Samsung Galaxy S4 Play Edition owners, the announcement leaves owners without the Google Play Edition wondering: “When will I receive an update?” Unfortunately, it’s unclear when a widespread Galaxy S4 update will surface. Google has greater control over Play Edition devices, and regular devices—locked and on contracts—receive updates more sporadically, based on the carriers’ testing schedules. Another polarizing topic for many Android users is the fragmented rollout of Android 4.4 to pre-Nexus 5 devices, repeatedly marketed by Google as the first to receive upgrades to the operating system. With Google lowering the hardware requirements—devices can run KitKat on only 512 megabytes of RAM, and they require less memory—it’s clear that Google can provide the update to older Nexus models. However, the rollout still remains fragmented for many users. Have you received the KitKat update for your Samsung Galaxy S4 Play Edition or Nexus device?